It has to be said, these boys are just on fire, there’s no way around it! 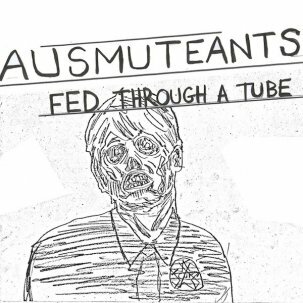 With an incredible, agitated, and nervously energetic sound they’ve pounded into all their own, AUSMUTEANTS are back with another massive slab of synth punk savagery you won’t be able to wash off with just one shower. After two pummeling LPs, another album full of demos, and a handful of stellar singles, all garnering the mouth-breathing praise they so wholly deserve, we’ve finally caught up with our release schedule and have shoved our bloody stump of a head into their sticky world, and we never wanna pull out. 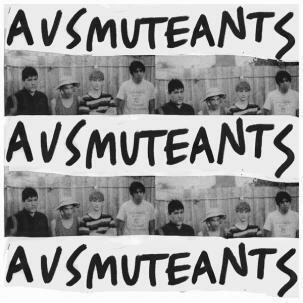 The two sizzling, neurotic, and probiotic cuts featured here don’t appear on any other releases, and are as vile, infectious and just as rabid as you needs require, crushing their formula into a powerful dust that erases your will to resist their impeccable Aussie charms. 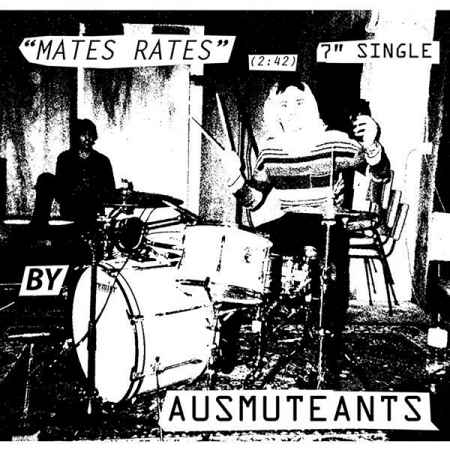 The A-side’s irresistible anthem “Mate’s Rates” rides a riveting synth line that will surely go down in history as one of New Wave Theatre’s great lost performances by a band you didn’t catch the name from, and sometimes something this classic sounding doesn’t need anything else, just like a good steak. And if that wasn’t enough, Ausmuteants dig deep on the b-side for a cover of Martha & The Muffins’ bizarre 1980 new wave hit “Echo Beach” that just doesn’t let up until your grip on life has loosened to the point of submission. 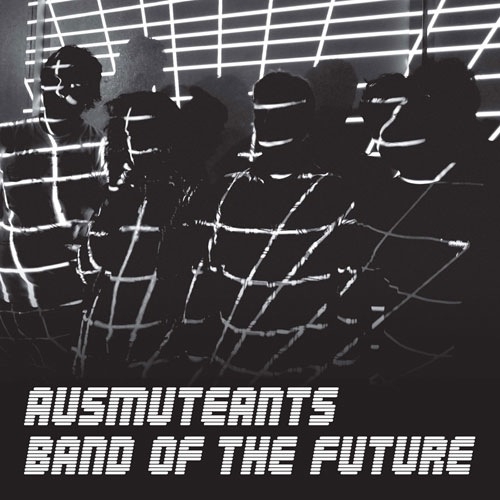 You really don’t even have much of a choice here, just stab & grab and kick back with an air of satisfaction until their next morsel of crude synth punk boils up to dangerous levels, rinse & repeat. - VictimofTime.com. 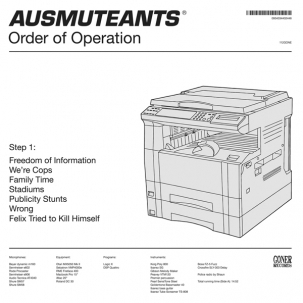 Edition of 500 copies.